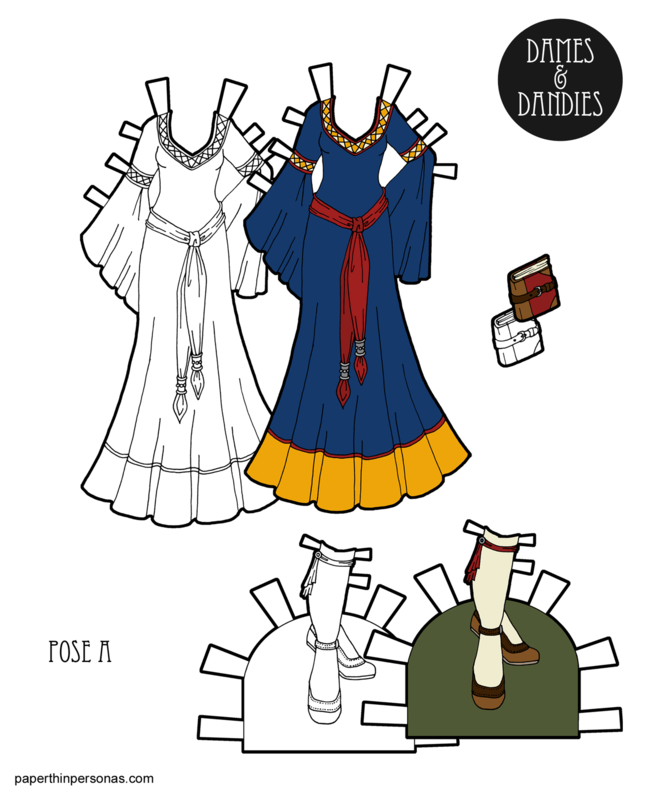 In my head, probably because I spent too much time researching clothing and dress, I tend to categorize my fantasy clothing based on the sort of “source” material. Nothing exists in a vacuum after all. So, sometimes I look to Medieval Europe and sometimes I borrow from the 18th century in France and sometimes I find myself looking at kaftans. Actually, I was inspired by this Pinterest image and this one. I’m pretty sure they are both kaftans, even if they aren’t labeled entirely in English. Meanwhile, I’ve been fighting a truly awful few days of allergies. I had forgotten how rough spring is here in Alabama. I’m groggy and stuffed up and otherwise pretty miserable, despite the cocktail of medications I am currently taking. So, I am crawling back into bed and I hope everyone enjoys today’s fantasy gown! There’s a totally different color scheme over on the Patreon page for my patrons. You donation helps keep the blog on the internet, so join if you would like. 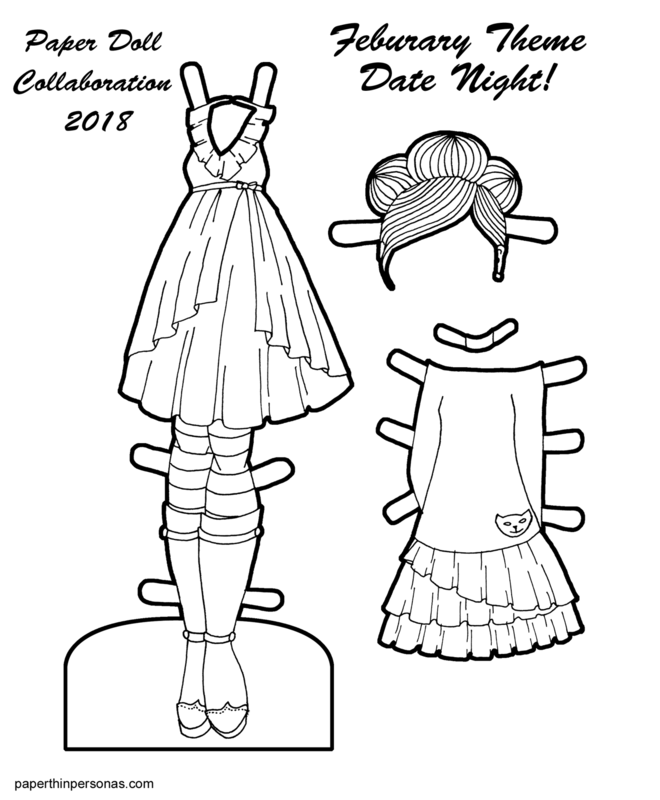 Collaborative Paper Doll 2018: Date Night Clothes! As some of you may recall from last year, Julie of Paper Doll School, Miss Missy of Miss. 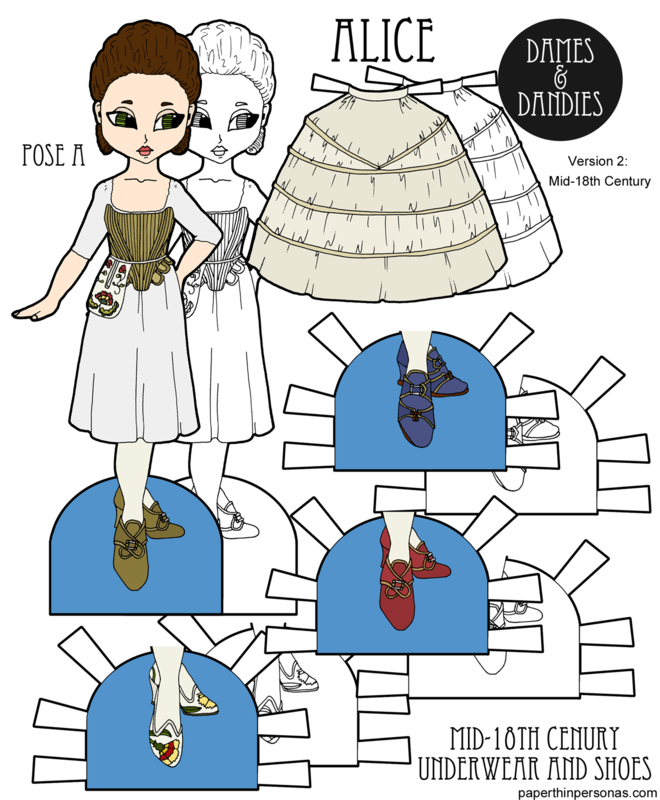 Missy’s Paper Dolls and I teamed up to create a monthly paper doll collaboration. It’s been super fun so far! Date night was our agreed upon February theme. I was kinda not sure where to go with it. I first planned to draw a fancy evening gown, but how many of us wear that on an average date night? I certainly don’t! 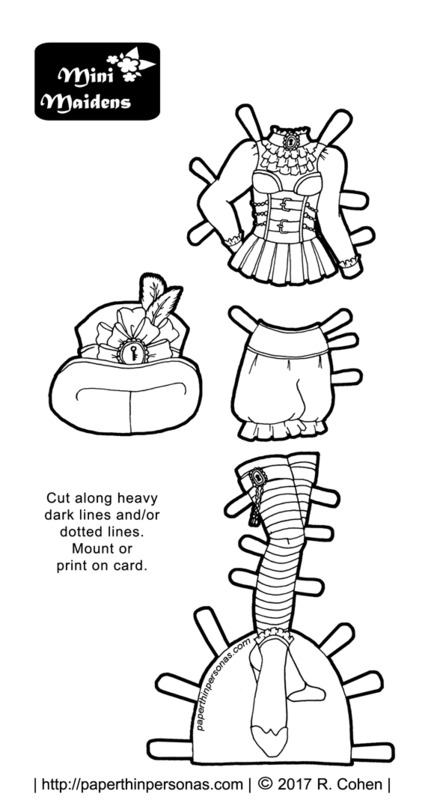 Missy drew the base and her paper dolls often have a very anime style. I think this has been influencing me. 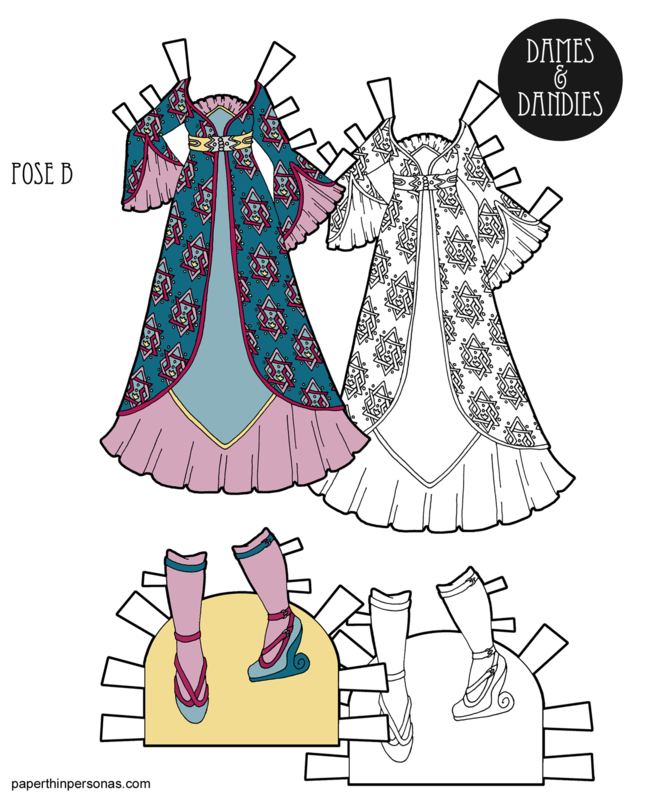 I kept thinking about whimsical cute pieces as I was designing these date night paper doll clothes. I had a bunch of fun designing her wig. It might end up needing a floating tab, so you may need to add one. I didn’t draw one, but I am thinking maybe I should have. Oh well, these things happen. In the meantime, I hope you’ll check out the other date night outfits from Paper Doll School and Miss. 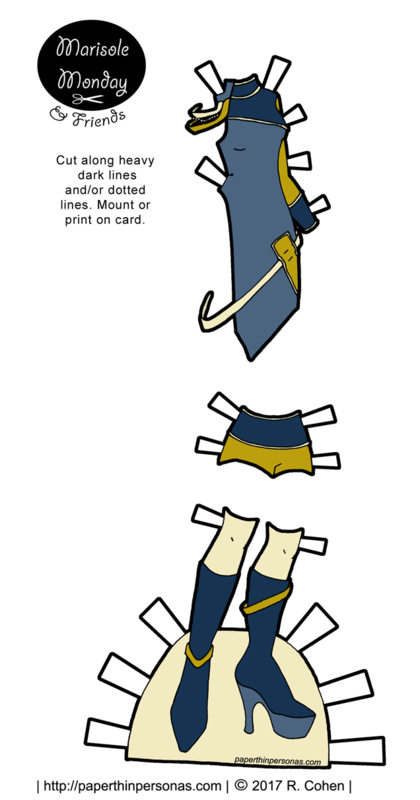 Missy’s Paper Dolls.